Many years down the line, I had grown up and still I didn’t fully understand what slavery did to us; until recently. For those of you who do not know what colonization does to the colonized, Frantz Fanon’s ‘Black Skin, White Mask’ and ‘The Wretched of the Earth’ are a good place to start reading. The subtle modifications that colonization has produced in the heart and psyche of the colonized still lingers in the backyards of our present day modernity. I belong to a generation that is heavily affected by colonization, but in a way that most of us don’t even realize. A generation that has been handed down the weakness of mind and spirit, feeds the deadly meal of low self-esteem. So disillusioned it has no internal strength, very confused and very external-oriented. We do not understand the power of our culture. 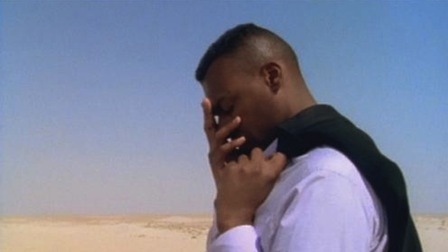 Still image from documentary film based on Frantz Fanon’s Black Skin White Mask directed by Isaac Julien. This is the misfortune that has befallen the African, more so the African film maker. As a young aspiring filmmaker myself, I realized that in spite of the fact that young African filmmakers are faced with a lot of challenges, mostly financial and logistic, the biggest challenge in my view is the ‘forgive me for being an African attitude’. I have seen it on the faces and heard it in the voice of filmmakers in Johannesburg, Cairo, Nairobi, Lome, Abidjan, Accra, Lagos and even in the streets of New York. Shamefully, I see it in my own self. Not only do I understand what my history teacher meant, but now we are a living testament to it. We lack the confidence to walk with our head high, chin up, look people in the face and say, I am an African, I also have a story to tell, a story of my people, my story. We don’t see how significant it is to preserve our people’s culture. Black people go around saying I’m sorry for being a filmmaker, sorry for speaking Swahili, sorry for speaking Amharic, forgive me for wanting to tell the stories my grandfather told me, please is it ok if I make a film about my people? Will you be interested in my grandmother’s story? The African filmmaker is always begging to tell his own story. We African filmmakers apologize every minute we live in this world. I am grateful to God that I am a filmmaker. I love that we get to tell stories about communities, about families, about people; their fears, hopes, challenges, aspiration, good and bad. We mirror society. And I think it is time for the African filmmaker to clear the throat and enter boldly into the cinematic exchange. We cannot afford to be passive anymore, we need a population that is mentally restructured and confident and capable of making its own history. I know how difficult it is to tell your own story, the continued reliance of African filmmakers on the festival circuit and on foreign funds to make their films, essentially forces the filmmaker to accept and depend on their terms, holding them hostage, colonized yet again. How can one tell his story, his way, and not compromise to fit into a mold of Hollywood type? How can the African filmmaker get foreign funding to make his film and still keep his accent, his temperament and his narrative style to preserve his culture? Africa is a continent that has the audacity to invent without imitation, let’s tell our own stories, stories with beauty and depth abound within our traditions, and others will listen and watch. 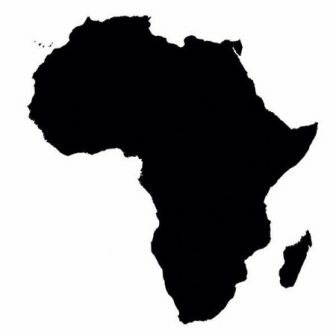 It takes an act of courage, an act of saying to Africa and the world you matter.